At the LSO, research appears as a theme running through the programme and as such, it is an integral and highly valued part of the LSO course. Students are introduced to the role of research within the profession of osteopathy early on and are presented with the evidence base for osteopathic practice and for the under-pinning knowledge such as anatomy and physiology from the first year of the course. All students will complete a research proposal in their 4th year which forms the basis of their final year Dissertation. In the Dissertation, students have the opportunity to select a topic of interest to them to explore in depth either through a literature review or through a small scale research project. This is often linked to something that they have observed in clinic. The complexity and quality of the submitted work will reflect the award being taken – so Level 6 for the BOst (Hons), and Masters level for the MOst. Links to abstracts of projects submitted by former years are found below. They should help to give you some insight into the ideas developed previously. Reasons why and when patients seek osteopathic care following onset of pain. Exploring specific reasons as to when and why patients seek osteopathic care following their Initial onset of pain. A study of patients from a private osteopathic clinic in the South of England. This was a cross-sectional survey based in one osteopathic clinic which aimed to investigate the factors affecting why and when patients seek osteopathic care for musculoskeletal conditions with the intention that this information could guide marketing material for osteopaths. Eighty questionnaires were returned. Findings revealed a significant difference between the factors affecting patients from the acute stage and those within the chronic stage. Compared with chronic patients, acute stage patients were more likely to present with traumatic onset (p =0.000), an increased pain level (7.13/10), aggressive pain descriptions (p =0.000) and no delaying factors (p =0.039). 86% of patients presenting within the chronic stage following onset cited insidious onset (p =0.090), a mean pain level of 5.37/10 and with increased reasons for delay (p = 0.010) including seeking prior care (p =0.000). This suggests that the decision of an acute patient to seek osteopathic care is more influenced by physiological factors (such as pain) whereas a chronic stage patient is more influenced by psychological and economic factors. Osteopathic myofascial technique for the diaphragm & its effect on peak expiratory flow values. Myofascial release is a common form of osteopathic intervention, and may be used to ease restrictions or tension within the subjects’ diaphragm and improve breathing function. This study attempted to determine whether a direct myofascial release technique for the diaphragm affects the lung function of healthy subjects (peak expiratory flow: PEF). Forty-one participants were randomly assigned to one of three groups: control, sham intervention or direct myofascial release. Results showed no statistically significant changes in PEF values, when comparing the effect of the osteopathic technique against the control or sham groups. The conclusion was that the use of a single osteopathic myofascial technique for the diaphragm does not have a significant effect on expiratory airflow rates in healthy individuals. 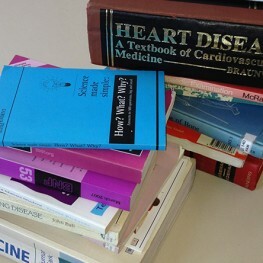 However, the study findings were constrained by the fact that the study population were healthy rather than those with respiratory pathology such as asthma or chronic obstructive pulmonary disease and that the peak flow meter used in the study may lack the sensitivity required to pick up small changes in PEF. The effect of osteopathic treatment to the diaphragm on the length of the psoas major muscle. This study on 30 asymptomatic subjects aimed to investigate the effect of osteopathic treatment to the diaphragm on the length of the psoas major muscle. This may have implications for the osteopathic treatment of low back pain and psoas major dysfunction. The participants were randomly assigned to either experimental or control groups. The hip extension angle measurements in the modified Thomas test were used to determine the length of the psoas major before and after the treatment (experimental group) and before and after 3 minutes of rest in supine position (control group). Findings revealed significant increases in the hip extension angles in both right (p =0.003) and left (p =0.000) hips in the experimental group compared to patients in the control group. This indicates a significant increase in the psoas major length following the treatment to the diaphragm. Comparative study of osteopathic approaches to the treatment of Deformational Plagiocephaly in France and the UK. This cross-sectional survey aimed to compare the osteopathic approach to the treatment of Deformational Plagiocephaly (DP) between France and the UK. DP is a condition seen in babies where there is asymmetric deformity of the skull resulting from repeated pressure applied to the same area of the skull (e.g. lying in one position for long periods of time). An online questionnaire was sent to 700 French and 700 UK osteopaths; response rates were 19.4% and 25.6% respectively. Similarities were found concerning common causes of DP, and the ideal time to start treatment. The main differences were found in the number of babies treated for DP, where referrals came from and screening by GPs. Cranio-sacral techniques were the most commonly used intervention in both groups but there were differences in the usage of other interventions. Similar patterns were seen between the UK and France in relation to the point at which intervention was sought by parents (majority between 1 and 2 months of age) and in the length of treatment (most practitioners reported a 6-week treatment period). Study conclusions raise the possible need for guidelines for the osteopathic treatment of DP. The study also raises the question whether training for the treatment of DP should be included in the undergraduate curriculum or whether it should be a postgraduate subject. Incidence of reported low-back pain in parents using infant carry slings vs. those using traditional child transport methods. Postnatal low back pain (LBP) is extremely prevalent in new mothers for a number of physiologic and psychological reasons. Very little research has been done into any device marketed to parents to alleviate LBP. One such device commonly advocated to decrease LBP and increase activity levels is the infant carry sling. This anonymous online survey aimed to establish whether participants who reported higher frequency of infant sling use reported less low back pain and increased activity levels. Forty-two responses were received, 40 were sling users. There was no significant link between sling use and current back pain (p=0.242), and pain frequency over 3 months (p=0.706) or pain intensity over 3 months (p=0.658). There was also no significant correlation between sling use and reported activity levels (p=0.697). Participants who reporting using slings as their primary transport method were more likely to report lower pain frequencies and were more likely to report lower pain intensities than those who use this method less often. The findings may suggest a tentative link between the variables but further studies with higher response rates, especially from those who do not use slings would be required to provide more convincing evidence of the potential benefits of infant carry slings. Perceptions of paediatric osteopathy amongst parents of children under five years old. An anonymous online questionnaire was developed to investigate the awareness of and opinions about paediatric osteopathy amongst parents with young children. Three hundred and thirty five responses were received from UK parents with at least one child under five years old. Of these, 33% felt that they knew enough about paediatric osteopathy to make an informed decision about choosing it for their children. 29% of parents had taken their child to be treated by an osteopath, most commonly for check-up or recovery from birth trauma (59%) and colic or excessive crying (55%). Lack of information was a key factor in parents not choosing osteopathy for their children, with a significant majority of parents (p<0.01) feeling they should be given more information about different types of treatment available. Parents who felt they knew enough to make an informed decision about paediatric osteopathy had significantly higher levels of use (p<0.01). Almost all parents (95%) think that medical professionals should give information about different types of treatment available, yet only 11% had received information from anyone other than an osteopath. Many parents would consider taking their child to an osteopath, with a significant majority considering it for musculoskeletal, infant and gastrointestinal conditions (p<0.01). Conditions where the majority of parents would not consider it (p<0.01) were ear, nose and throat, respiratory and ophthalmic conditions. Inter- and intra-rater reliability of the Foot Posture Index (FPI-6). The Foot Posture Index (FPI-6) is a commonly used test in the assessment of foot posture (indicating the degree to which feet are supinated, neutral or pronated). A repeated measures, same-subject design study was conducted to test the inter- and intra-rater reliability of the FPI-6 among final year osteopathic students. Three final year students assessed 20 individuals’ feet (n=40) twice. Intra-rater reliability for the final FPI-6 score was rated as adequate overall with some variation within the various elements comprising the assessment (poor to excellent). The highest scoring category was ‘Height and congruence of the medial longitudinal arch’ among all three raters. Inter-rater reliability for the final FPI-6 score was poor; however, ‘Height and congruence of the medial longitudinal arch’ was the only category scoring adequate reliability among both rounds. Intra-rater reliability of the FPI-6 among final year osteopathic students is adequate to good, which suggests that this assessment tool may be reliable to use in a single practitioner setting. However, inter-rater reliability was poor and therefore it is suggested that the FPI-6 should not to be used in a multi-practitioner setting where a patient may be treated by more than one practitioner as is the case with the LSO outpatient clinic. Manual therapy for the elderly patients in nursing homes (literature review). Manual therapy (MT) has become increasingly used for symptom management of elderly patients in nursing homes, but no evidence-based guidelines are available and specifications about protocols of interventions, indications, potential benefits, and possible adverse effects remain poorly described. Moreover, there is a high number of publications in the field but it appears that very little evidence-based conclusions have been taken. Despite this, increased recognition of the burden of pharmacological therapies and rising interest in evaluating complex interventions suggest that there is a need for inclusion of non-pharmaceutical therapies such as MT into medical guidelines. This literature review aimed to assess the available evidence regarding potential benefits of this form of intervention for patients in nursing homes and concomitantly, to analyse, describe and draw conclusions on the possible causes responsible for the lack of evidence in the field. The literature review demonstrated a small numbers of trials showing benefits of manual therapy in the form of massage and sensory interventions for patients with dementia and chronic pain. As expected, a shared conclusion between the systematic reviews was that stronger trials were needed to draw conclusions. Runners’ preferred choice of treatment for running related injuries. The aim of the study was to investigate runners’ awareness and perception of osteopathy. Study objectives included in exploring whether relationships exist between the type of runners’ injury and their choice of practitioner, and between gender and their preferred choice of practitioner, for the treatment of their main running injury. The awareness of osteopathy amongst the running community for musculoskeletal conditions is high; however there is a poor awareness amongst runners of other conditions that may be treated by an osteopath. Results indicated that osteopathy is not the preferred choice of treatment amongst runners with a running related injury (physiotherapy being the preferred option), however, there is a relationship between the main type of runners’ injury and a runners’ choice of practitioner (for example, runners with a back injury were more likely to visit an osteopath than a physiotherapist). There was no significant association between the runners’ gender and the preferred choice of practitioner. These findings could be used to inform a focused marketing strategy to enhance the running community’s awareness of osteopathy as a primary healthcare option. Osteopathy is undergoing change around the world. In the UK, the profession’s distribution is not uniform and there are no readily available data concerning current numbers and rates of growth in detail. The study aimed to analyse osteopathic provision in the UK by region and in comparison with overseas nations, and to assess the perceptions of practitioners regarding issues of supply, demand and capacity. Population and registration data were assessed against the overseas nations of France, Australia and New Zealand and by UK region, using registrant data and public population data sets. In addition, a survey was sent to UK Registered osteopaths reviewing their work practices and opinions on levels of public awareness, provision of osteopathy and demand. The response (n=275) represented 5.8% of the profession and was broadly representative of its regional distribution. The study concludes that the UK osteopathic population is growing but provision is not uniform across regions. UK provision is not in excess of comparable nations and, furthermore, it is substantially lower than in some similarly developed countries. Practitioners are increasingly working in a number of different locations, potentially exemplifying a period of professional adaption and in more densely provisioned areas are increasingly concerned about supply levels in the current climate. The majority of practitioners questioned feel the profession does not do enough to promote itself, and a range of categories and themes emerged surrounding the needs, challenges and opportunities existing in the modern health marketplace. Is there a relationship/correlation between general public perception of osteopathy and social demographic profiles? Can correlations be used to provide niche marketing strategies to potential demographic profiles? Research into public awareness of osteopathy suggests osteopaths are most commonly associated with musculo-skeletal conditions although the profession is defined as a primary healthcare system. This cross-sectional survey aimed to investigate current public perceptions, comparing against demographic profiles. The study will investigate whether profiles could be used to provide niche marketing segments for practitioners to communicate the full message of osteopathy. An online survey was posted to Facebook and sent to email contacts. Findings illustrated 97.3% of respondents had heard of osteopathy. Although 60% of these demonstrated a fairly good awareness level (based on their definition of an osteopath), only 8.14% showed the highest grade of awareness. This demonstrates many people are likely to have an understanding of some aspects of osteopathy, yet very few understand the full range of its benefits/uses. Musculo-skeletal conditions proved the most commonly associated treatable conditions, illustrating that osteopathy may be predominantly viewed as a treatment for such conditions. Word of mouth/recommendation proved the most common way for people to hear of osteopathy, demonstrating the importance of better marketing to ensure the correct message is portrayed. Chronic musculoskeletal pain is a growing problem within today’s society placing National Health Service (NHS) resources under huge strain. More people are seeking alternative therapeutic interventions such as osteopathy to manage their symptoms. With NHS and General Osteopathic Council recommendations to promote patient autonomy and self-management in the bid to prevent musculoskeletal chronicity, it follows that exercise could be a useful adjunct to optimise a positive treatment outcome but there is a paucity of research related to osteopathy. The aim of this qualitative study was to explore the beliefs and experiences of academic staff and osteopathic students at the London School of Osteopathy (LSO) on the value of corrective exercise as an aspect of osteopathic treatment. Nine participants (n=5 student; n=4 academic staff) from the LSO took part in semi-structured interviews. Themes and categories were derived from the data and analysed to answer to study question. Participants conveyed that corrective exercise has a beneficial effect on treatment outcomes when applied with sound clinical reasoning. Exercise is commonly used as an adjunct to osteopathic treatment and is supposed conducive to the essence of osteopathy. Exercise prescription at the LSO is largely well reasoned and patient-centred, with promotion of patient self-management a key factor in prescription rationale. A range of exercise modalities are employed under the umbrella of corrective exercise. Similar views were expressed by students and academic staff. This study aimed to explore parental perceptions of osteopathic treatment for children in one area of Hampshire and to identify common childhood health issues parents are facing. Identify effective ways of communicating with parents to raise awareness of osteopathy as a primary healthcare option for children. Semi-structured interviews were carried out with a purposive sample of ten parents with children under 10 years old living in one area of Hampshire. Data were coded using Thematic Analysis (Polgar & Thomas, 2008) to identify emerging themes and sub themes and analysed using the ‘OSOP’ approach (Ziebland & McPherson, 2006). Some participants had received recommendations for osteopathic or Complimentary Alternative Medicine (CAM) treatment for their child and selected osteopathic treatment based on personal recommendation, whole body focus, childhood development and medication-free treatment. Participants expressed concerns about visiting an osteopath, primarily believing that it would be painful for their child and the ongoing cost of treatment. The majority of participants were unaware of the potential benefits of osteopathic treatment for children and all felt that there is insufficient information available about healthcare options available for children. Participants identified their General Practitioner (GP), internet, social media and personal recommendations as the primary channels through which to receive information. This study suggests that many common childhood illnesses are often unresolved and patients are not aware of alternative healthcare options or the potential benefits of osteopathic care. There is significant scope for the osteopathic profession to enhance communication and awareness with other healthcare professionals and parents. Preferred information channels include GP surgery, internet, social media and personal recommendations. 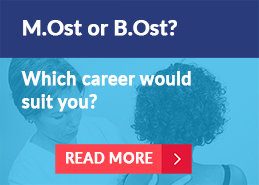 The main focus of the LSO are the MOst and BOst courses. Continued Professional Development (or Continuing Fitness to Practice) courses are offered from time to time. The LSO is very proud of those who have completed the course. We keep in touch, and regularly send out information about job opportunities. The LSO achieves this via its validated course and associated outpatient clinic. We currently have several projects for which we are fundraising. If you feel you can offer anything – time, expertise or funds – please do get in contact with us. 2011 The LSO moves to its own freehold premises in Bermondsey, and the first MOst cohort graduates. The Grange is a beautiful Victorian old school building in the heart of south-east London. It has great character, and has full mobility access. There are rooms of various sizes, and most are set up with hydraulic plinths which are ideal for bodywork therapies. The two largest rooms can accommodate 16 plinths each. If you want to rent a room, or know more about facilities there are, please contact brown.j@lso.ac.uk. The GOsC was formed as the result of the Osteopaths Act of 1993 to protect the public by regulating the profession and monitoring standards. It has a similar function to the General Medical Council (GMC) in this regard. The Professional Standards Authority has oversight of all 8 healthcare regulators, including the GOsC. The title ‘osteopath’ is protected and it is illegal to practice osteopathy in the UK without being registered with the GOsC. It maintains and publishes a register of osteopaths which is easily accessed by the public, either by telephone or the internet. The GOsC monitors educational standards by inspecting schools and awarding Recognised Qualification (RQ) status. 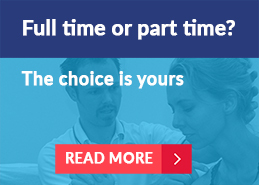 The London School of Osteopathy was the first fully part-time school to have been so recognised. The GOsC website can be found at www.osteopathy.org.uk. The iO is a membership association that supports osteopaths. It holds a similar position to the British Medical Association (BMA). Historically, it is the oldest osteopathic body in the UK, and has gone through various changes since that time. The recent name change from the British Osteopathic Association signals a move towards gaining Chartered Status. 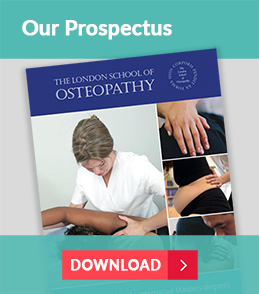 The iO is focussed on supporting the professional and business life of the osteopath, and publishes Osteopathy Today, a newsletter for osteopaths. It can also provide mediation services to osteopaths and their patients. Students of osteopathic schools are welcome to apply for membership of the iO at heavily discounted rates. The iO website can be found at www.osteopathy.org.